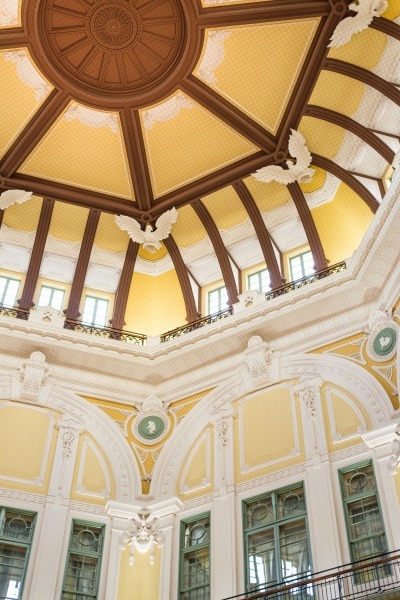 A blog from West Tokyo: Old and new Tokyo station. 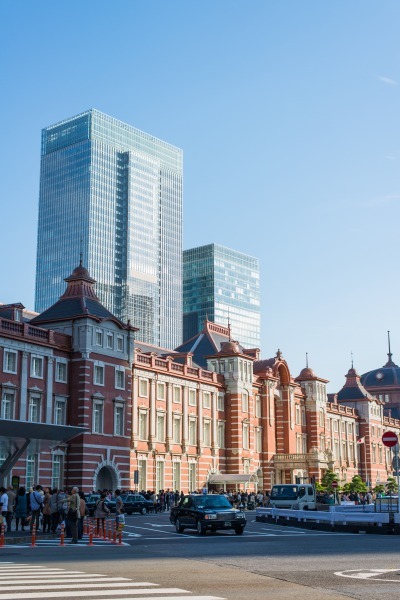 This red brick building which once again symbolize Tokyo station just opened this October. It was burned in the WW2 (I check it out on the web site, though I don't know whether it completely collapse or not), but this time they rebuilt it. You know, somehow this station in Tokyo reminds me of Amsterdam Central Station, here in Holland. The red brick, the white. It looks very beautiful, although the interior is a tad different. I'm very much enjoying my holiday, I plan to go to the city of Leiden, (which also is a city full of historical buildings), on saturday. I will be visiting the university I want to go to, where they'll be giving various presentations about: "studying Japanese". I really look forward to it. Leiden is a really nice city, it's full of young urban people and students, because top universities are located there. And it is also packed with very good restaurants and café's and it has a nice shopping district. The buildings are very old, tall and slim and lay directly at the canals. They stem from the 15th,16th and 17th century. The atmoshpere in the city is very relaxed, many people go to Leiden in the weekend for pleasure and in midweek you'll find many students. I imagined Amsterdam Central Station and then checked it out just ago. Wow! It's far greater than Tokyo station. I also googled Leiden (I heard it for the first time, by the way), it's really nice as well :P I've never been to Holland, nor Europe, I just imagine what it's like. The story you tell me always fresh and exciting for me! Well, you are going to have very busy days both for the job you told me and your holiday. I like to be busy, and I think you like it too. But be careful to do too much and don't forget to take some rest as I recommended you before. I will write a post in some days! When we learn the world history in Japan, text books tend to tell us about European history. The Roman Empire, history of religious transformation, the Age of Discovery...and so on. Especially we learn your country in terms of religious transformation and its wars. Japanese history may quite unique. We live on islands, not so many contacts with outside world until 19th century... We grew our own culture until that time.